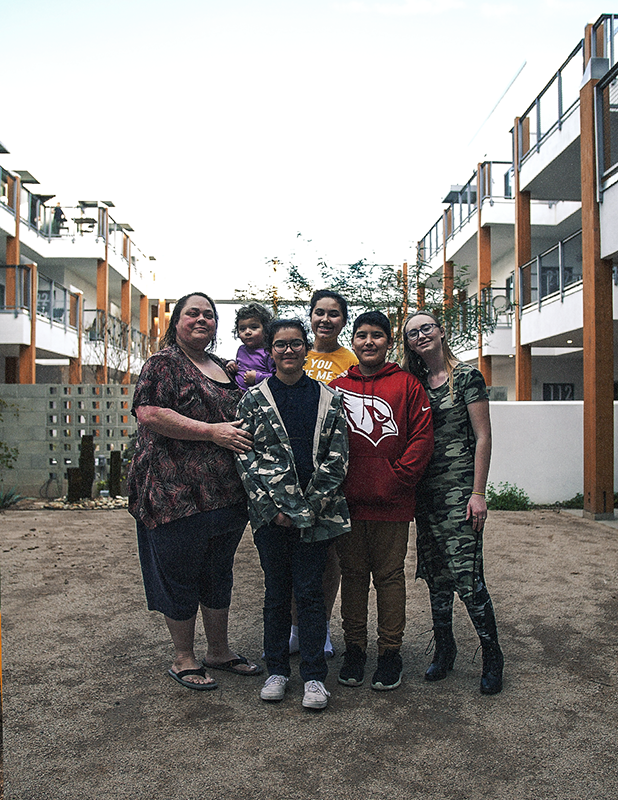 Nearly 50 children reside within Artspace’s newest, multifamily property, the Mesa Artspace Lofts in Mesa, Arizona, making up more than 40% of this artist community. In some cases, the family is headed by an artist; while in other cases, it is the child who identifies as the artist and enables their family to move into the community. Often, the entire family is creative somehow, whether they explicitly recognize themselves as artists or not. Mesa Artspace Lofts resident Sharon Hagen initially saw her children as the artists in the family but, through an interview with the artist selection committee and her experience living at the Lofts, has come to see herself as an “exploring artist.” Since moving in, she is also widely recognized as the neighbor who provides arts programming for children. Hagen initially approached the arts as a form of therapy when working professionally with teenagers from juvenile centers and family shelters. Giving guided art instruction with room for interpretation within art projects was a way to “get into their minds a little bit and start conversations,” she said; and she now uses it daily at home as a single mother heading a large household. Hagen has two biological daughters—a 20 year-old (in college) and a 14 year old—and is also foster mom to a two year old, 12 year old, 14 year old, and 17 year old. She laughs when she explains that she has the largest unit at the Mesa Artspace Lofts. 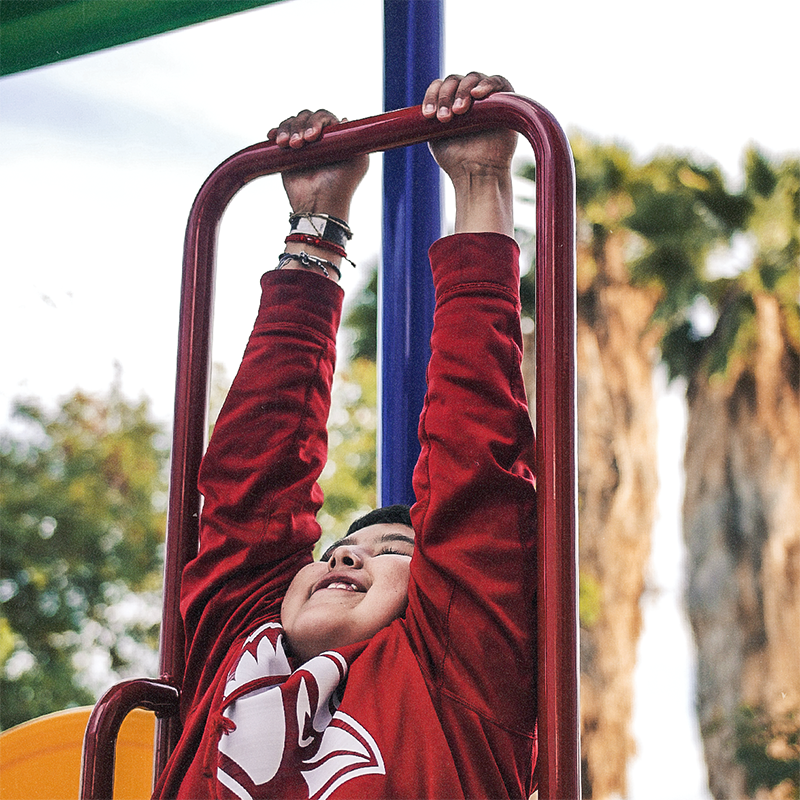 Hagen came to fostering children through a friend her daughter met at the park—who they learned lived at the park from 5 a.m. through midnight. The girl had a traumatic home life, and the mother agreed to let her stay with Hagen, who at that point began looking into getting licensed. It took interaction with a second child, however, for her to get the foster license. In this case, Hagen’s daughter was dating someone from a foster home that was shut down for embezzlement, with the youth quickly transferred to an adult facility. The child called Hagen, and found a safe haven in her home. Since that time, Hagen’s household has gradually expanded, including the addition of two sisters within the last year. Their brother was placed with a foster dad but was emotional about being separated from his sisters, so Hagen added to her license a bed for a boy, and took him in, too. The affordability that the Mesa Artspace Lofts provides is what first attracted Hagen to the property. She had been laid off four times in two years, and was about to be evicted and face homelessness, as well as potentially lose her foster children. 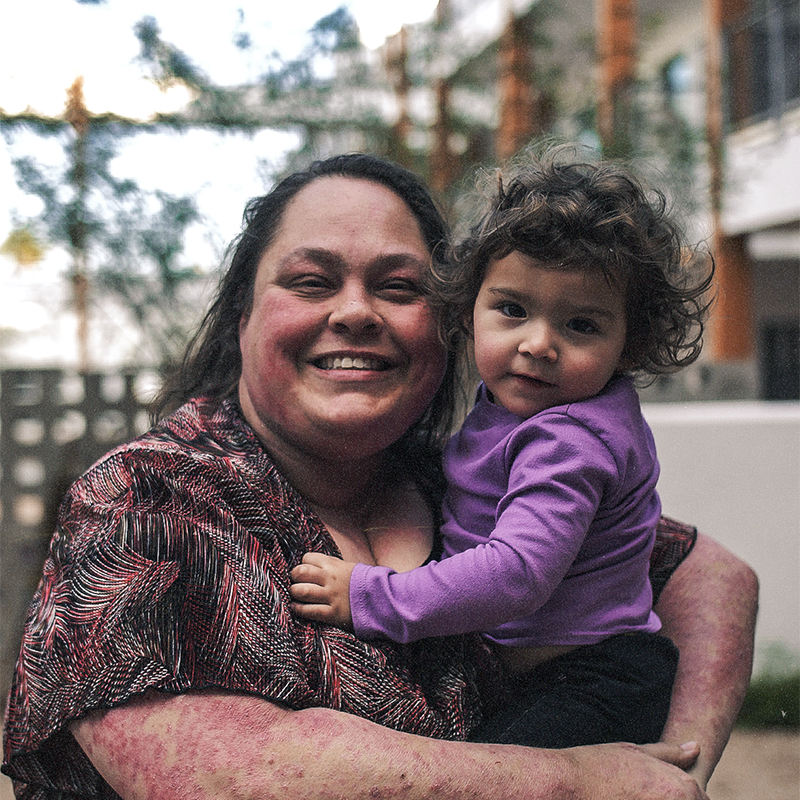 She and her family found stability through Artspace. But beyond this, Hagen also appreciates that her family is surrounded by “good people” in a community-based environment. At the Grand Opening, an Artspace board member bought her daughter’s artwork from off the wall within their apartment, and seeing the value of her creativity through someone else’s eyes really made an impression on the child. Hagen goes to the food co-op for multiple residents, who pick up their vegetables from her apartment. Two of her children take guitar lessons from another resident. Her daughter built and installed a Little Free Library at the entrance to the apartments, and as a family, they teach monthly art workshops titled “Butterflies, Bees, and Books.” One of the children writes a story and Hagen pairs it with a craft, which they all learn and become “experts” at to teach others. Anyone can attend the workshops, with a suggested $5 donation to cover the cost of supplies. Hagen said that, through these experiences, the children see a culture of people invested in their community, and that being here has given them permission to participate in activities they otherwise would not have. All photographs by Josaphat Zelaya.